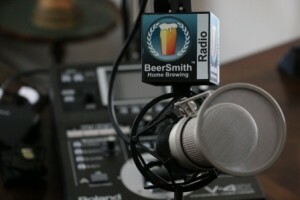 Today on the show Gary Glass, Director of the American Homebrewers Association, joins me to talk about the AHA, state of home brewing and upcoming HomebrewCon scheduled for June 9-11 in Baltimore. Gary heads up the 40,000+ member homebrewer’s association, and is also active in the parent Brewer’s Association organization. Gary shares some of the new activities going on at the AHA and changes at the Brewers Association headquarters. We discuss some of the trends in homebrewing including the diversity of new brewers entering the hobby, and rapid expansion of knowledge. Gary shares his thoughts on the trend where a majority of brewers are brewing all grain for the first time ever. We discuss the slight decline in home brew shop sales and potential causes. We talk about additional trends in home brewing. Gary discusses the AHA and some of the many things the AHA does for homebrewing in general. We talk about the upcoming HomebrewCon conference including the change of name and some of the great events planned for this year’s conference in Baltimore. Gary shares his closing thoughts on why now is the best time ever to be a home brewer. Next post: Should You Treat Your Sparge Water for Home Brewing?